(Summer- May-September) In the morning, guests will enjoy the beauty of Thousand Islands by a cruise boat. As the name indicated, the Thousand Islands constitute an archipelago of 1,864 islands that straddles the Canada-U.S. border in the Saint Lawrence River as it emerges from the northeast corner of Lake Ontario. Besides those different and floating islands, it is valuable to know their historical traces. 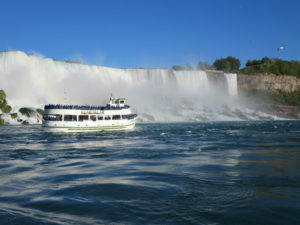 (Winter- October-April) We will cross the upstate New York and leave for Boston when you enjoy the magnificent view of the Erie Canal and mountains on our comfortable tour bus. In the afternoon, we will arrive in the city of Cambridge, MA and visit the Harvard University. Here, you will find Harvard’s oldest campus and take pictures with the statue of John Harvard, known as the “Statue of Three Lies”. Also, we have a chance to take pictures with the backdrop of MIT’s main buildings. For the rest of our Boston city tour, we will pass by old Trinity Cathedral, Hancock Building, Boston Athenaeum, Boston Park, Swan Lake Park, and overlook the Golden Dome of the State House. In addition, you will have the chance to taste very famous Boston lobsters feast for dinner- get excited! (Winter) Boston – Rhode Island (Summer- May-September) We will cross the upstate New York and leave for Boston when you enjoy the magnificent view of the Erie Canal and mountains on our comfortable tour bus. In the afternoon, we will arrive in the city of Cambridge, MA and visit the Harvard University. Here, you will find Harvard’s oldest campus and take pictures with the statue of John Harvard, known as the “Statue of Three Lies”. Also, we have a chance to take pictures with the backdrop of MIT’s main buildings. 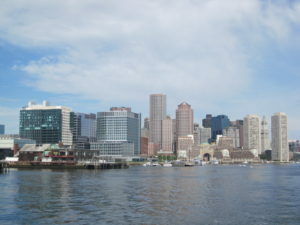 For the rest of our Boston city tour, we will pass by old Trinity Cathedral, Hancock Building, Boston Athenaeum, Boston Park, Swan Lake Park, and overlook the Golden Dome of the State House. In addition, you will have the chance to taste very famous Boston lobsters feast for dinner- get excited! (Winter- October-April) In the morning, fun will begin as soon as you board the cruise ship and enjoy a breathtaking view of the Boston harbor. Later, we will go to the New England Aquarium. The New England Aquarium is distinguished by a four-story Giant Ocean Tank which features an underwater communications system and large windows to the ceiling, making visitors feel like being placed under the Caribbean sea with fabulous views of coral reef as well as hundreds of reef animals, including sea turtles, stingrays, eels and fish. In the meanwhile, you will also learn of treating and rehabilitating sea turtles here. The next stop is the old Quincy Market. The old Quincy Market is opportune for strolling through, or to get a taste of the historical ambience as well as to pick out souvenirs among the assorted merchants and artisans. The Market was also surrounded by dozens of restaurants for dining option with a variety of authentic cuisines, and absolutely, you cannot miss the famous New England clam chowder. 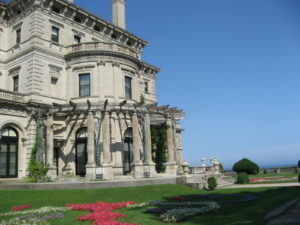 In the afternoon, guests will be taken to the Breakers at Newport, Rhode Island. The 4-story waterfront building is not just one of the most famous, but is the largest and grandest of the several historical Newport properties. Many local tales will help present the splendid days of Vanderbilt’s family in the past. 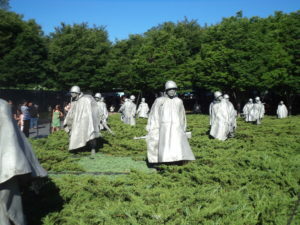 At a first glance, travelling around the entire of New York City seems like the mission impossible; however, our highly organized tour is especially designed for you to feel the core spirit of the New York, by visiting amounts of famous landmarks and museums to learn more of its unique history, and shopping in the world top-brand boutiques! By stepping up to the Empire State Building, guests could overlook the beautiful view of the central park and the entire of New York City. Empire State Building stood as the world’s tallest building for nearly 40 years, and has been surpassed in late 1970. Its name is derived from the nickname for New York, the Empire State. Nowadays it is still the most famed landmark of the city of New York. Also, Guests will have a chance to take a sightseeing cruise on the Hudson River to enjoy the city from a totally different view, as well as take pictures with the backdrops of Statue of Liberty and Brooklyn Bridge. In addition, USS INTREPID, the national heritage that costs $120 million, is reopen for visitors. Concorde supersonic airliner and a variety of aircrafts will be all in the exhibition for the guests to visit. Wandering around the world’s famous financial and securities trading center – Wall Street, taking pictures with the symbol of New York Stock Exchange – Charging Bull, and visiting Trinity Church, Times Square. In the end of the day, our tour bus will take guests see around the Fifth Avenue, Rockefeller Center, United Nations Headquarters, Ground Zero and the new construction of WTO – Freedom tower. . . 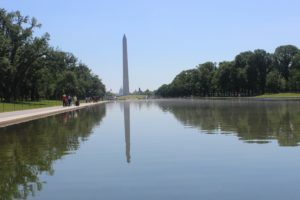 If time allows, we will additionally visit the Metropolitan museum and Madame Tussauds.